Less than 24 hours after the release of 2018 Finest Baseball and the most sought after card in the set has already been pulled. The Shohei Ohtani 2018 Finest Superfractor AU was pulled at Oliver's Sports in Wichita, KS. The card has already made its way to eBay at $60k BIN/OBO, which some believe is modest. This is serious luck for the owner but some believe it might mean trouble for the product's SRP. 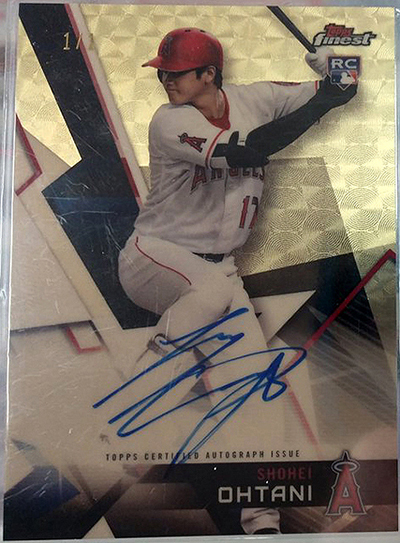 Shohei Ohtani has three Superfractors in 2018 Finest with this one being the only that's signed.